When things throughout your office work properly, your business flows smoothly. If your commercial doors and windows malfunction — both employees and customers can be negatively affected. At Architectural Openings & Access, we know firsthand that your doors and windows are only as good as the commercial hardware that makes them function properly. AOA fully supports all of our quality commercial windows and doors with a full range of both standard and decorative hardware and replacement parts. 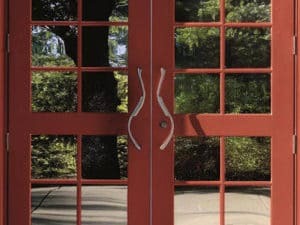 Our long-standing relationships with numerous brands allow us to offer our your business numerous options for window and door hardware and replacements parts — for cosmetic, security and functional solutions to a wide range of issues. For more information about commercial hardware from AOA please contact us here or call our office at 616-363-6854.